Your data. Your metrics. Your insights. 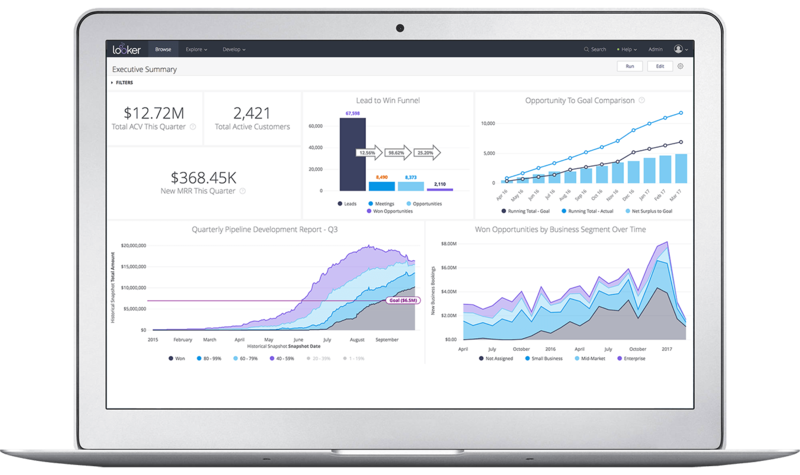 Looker makes it easy for users, across departments to find, explore and understand the data that drives your business. Because it’s your data, we’ll need to know a bit more about your setup to ensure you have the best experience possible. Fill out this form and we’ll be in touch to get you up and running! "Thanks for taking us through the process. We were impressed with the solution; but the team and support experiences were a big part of what helped us make our final decisions."